**** JUST IN FOLKS! THIS 2011 FORD F-150 FX4 HAS JUST ARRIVED TO US AND IS READY FOR YOUR TEST DRIVE! IN GREAT CONDITION INSIDE AND OUT WITH A CLEAN ACCIDENT FREE CARFAX RECORD, AND IS THROUGH OUR SERVICE/DETAIL CENTER! 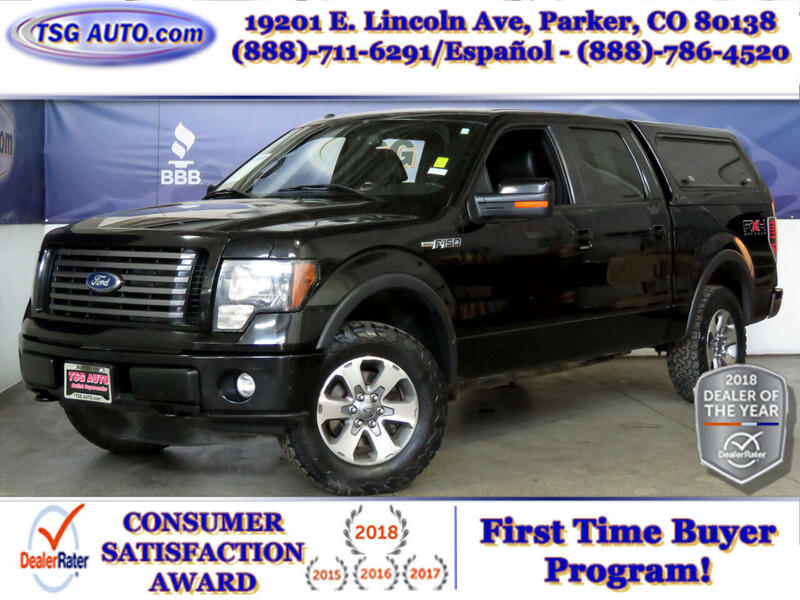 READY FOR COLORADO WITH A POWERFUL 5.0L V8 ENGINE, GREAT CLEARANCE, AND USEFUL FOUR WHEEL DRIVE SYSTEM! COME ON IN TODAY TO TAKE THIS BEAUTY FOR A SPIN AT YOUR LOCAL AND ALWAYS FRIENDLY TSG AUTO! ****This vehicle has damage to rear tailgate and bumper. This vehicles electronic outer mirrors do not function. This vehicle has damage to rear tailgate and bumper. This vehicles electronic outer mirrors do not function.